Do you have questions about our LG solar panels, or questions about solar in general? Give us a call at 1-800-472-1142. Is LG the best panel choice for my project? LG’s new module, NeON™ 2, adopts Cello technology. Cello technology replaces 3 busbars with 12 thin wires to enhance power output and reliability. NeON™ 2 demonstrates LG’s efforts to increase customer’s values beyond efficiency. It features enhanced warranty, durability, performance under real environment, and aesthetic design suitable for roofs. LG is a household name. Appliances, televisions, cell phones, and air conditioners made by LG can be seen in homes and businesses everywhere. Now, you can also see LG products on rooftops, in the form of high-quality monocrystalline and polycrystalline solar panels. LG took the solar retail market by surprise in 2010, when they started mass-producing solar panels in their production plants in Gumi, Korea. LG is not new to solar, or electronics, however. They started their business back in 1958 under the name of Goldstar, and started solar research and development in 1985 under that same name. In 1989, GoldStar Central R&D Lab and Lucky Chemical developed their solar cell manufacturing technology. Goldstar established photovoltaic power plants later that year. The LG Group was created out of a merger between Goldstar and Lucky Chemical, from which the abbreviation of LG was derived. Under their new name, the LG Group, they manufactured heaters and solar panels that operated on naturally circulating heat. They also manufactured PV street lights, clock towers, and signs. LG's solar "prowess" became evident when they implemented a 14MW scaled solar power plant in Taean, Korea. In 2004, the LG business group prepared for mass production by consolidating several of their solar research laboratories under LG Electronics. In 2008, a joint venture with Conergy allowed them to merge their extensive experience with R&D and mass production of electronic equipment with Conergy's worldwide access and distribution network in the solar market. Today, LG Solar is on the forefront of renewable energy product development, whether residential, commercial or utility scale. 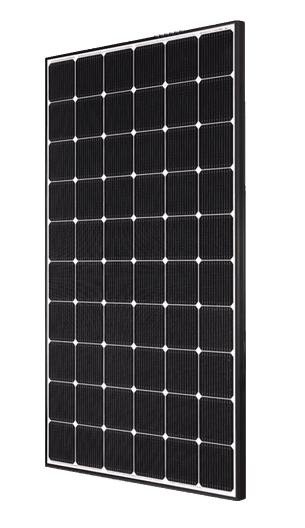 LG solar panels are subject to rigorous quality control, a zero carbon emission evaluation, and backed by a 25-year linear power warranty. 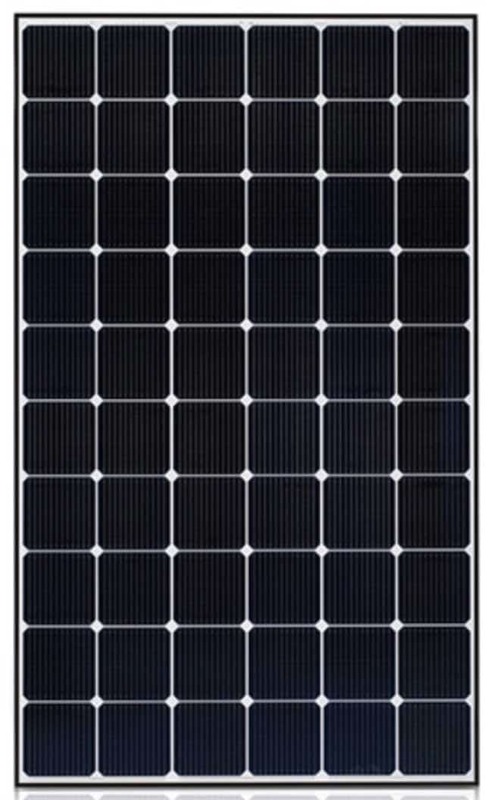 Their Mono X solar panel is the first solar panel to receive a Carbon-free Certified Label from CarbonFund.org. To be certified, the Mono X passed a Life Cycle Assessment from raw materials to product disposal.